This buffet option is by far our gold choice and would suit any occasion. 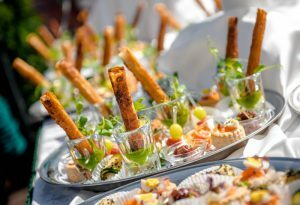 It will enable you to put together a price which includes the hire of crockery, cutlery and our Catering Management services. The prices are based on a minimum of 30 guests, for smaller parties a more individual quotation can be given. The only extra costs would be staff services, linens, glass and any other equipment hire costs which may be required. *Please note that a supplement applies to these dishes. All dishes in bold are our favourites! We treat every event with a personal touch, whether it is a hot or cold buffet, BBQ, wedding breakfast or a silver service sit down meal. 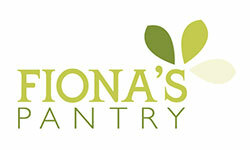 Please note that for your satisfaction and peace of mind, Both Concerto Catering and Fiona’s Pantry are Five Star Awarded from the London Borough of Bromley Environmental Health Department. We take pride in serving our food knowing that it has been prepared to the highest standards and no compromises have been made to its quality. In every regard, we know that we can meet your requirements but also exceed your expectations!